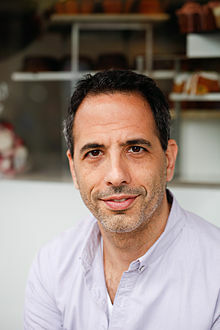 The following is a personality profile of Yotam Ottolenghi based on his work. Yotam Ottolenghi is shrewd and skeptical. He is independent, he has a strong desire to have time to himself. He is laid-back as well: he appreciates a relaxed pace in life. But, Yotam Ottolenghi is also proud: he holds hisself in high regard, satisfied with who he is. I have a couple hundred cookbooks and a functional chef's kitchen. Culinary trends and implementing the latest food creations are my passion.